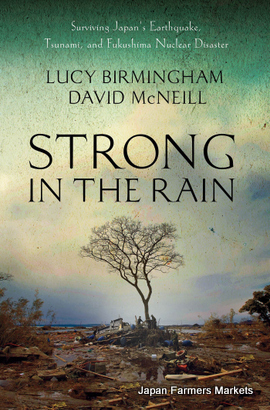 I had the great pleasure of interviewing Lucy Birmingham and David McNeill, co-authors of Strong in the Rain: Surviving Japan's Earthquake, Tsunami, and Fukushima Nuclear Disaster (Palgrave Macmillan, 2012) shortly before they gave a talk at Temple University. It was a fascinating conversation about media, government, disaster, human reactions, and culture as they mixed together in the series of events triggered by the March 11th earthquake. 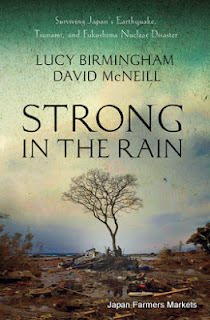 The story is compelling but not easy. I wept and cringed and felt outrage as the pages turned, and it's left an impression that won't easily be erased. My full review with excerpts from the interview can be found over at Metropolis. Then head on out to a bookstore to read it for yourself.